A beautiful addition to the Muuto Lighting Collection, GRAIN brings a new perspective to the pendant lamp by combining a classic minimalistic design using innovative new materials. 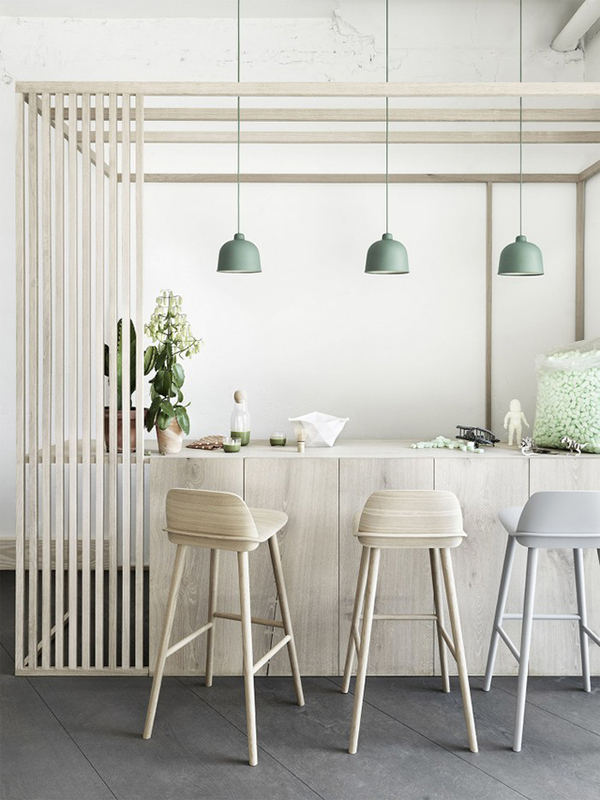 Designed by Jens Fager, the versatile and environmentally friendly lamp has a warm and welcoming appearance and lots of character despite its simple iconic shape. 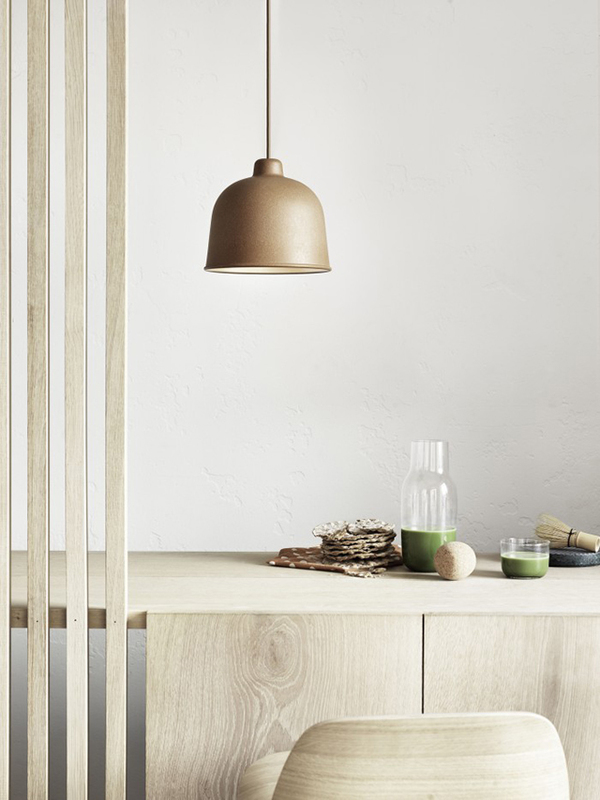 I love the lamp’s refined matt surface which comes from a specially created mix of bamboo grain and plastic composite. Available in a range of colours, 'Green' and 'Nature' shown below are gorgeous. 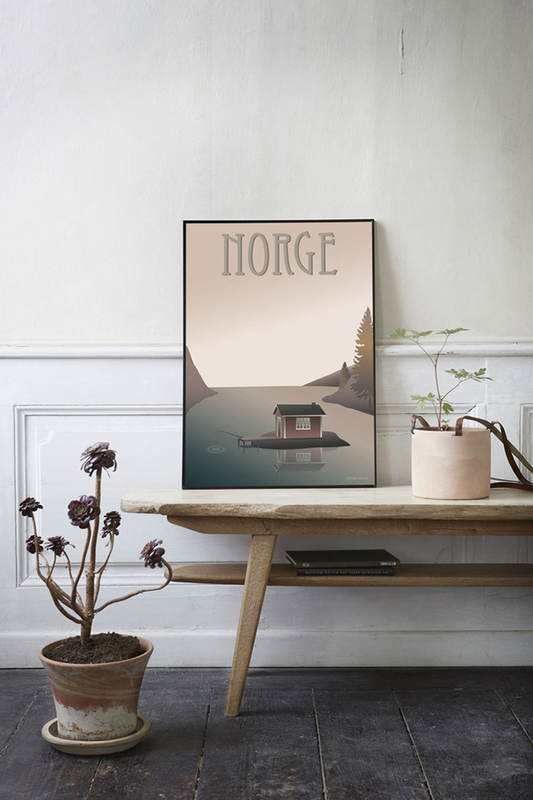 The new Norwegian poster collection from Visse Vasse caught my eye this week. 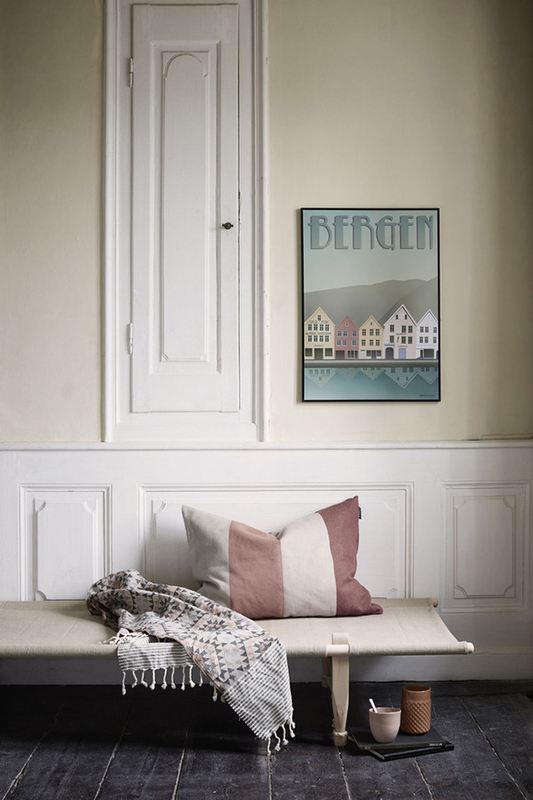 Capturing idyllic scenes in pretty pastels, the soft yet slightly rustic styling is also providing lots of inspo! 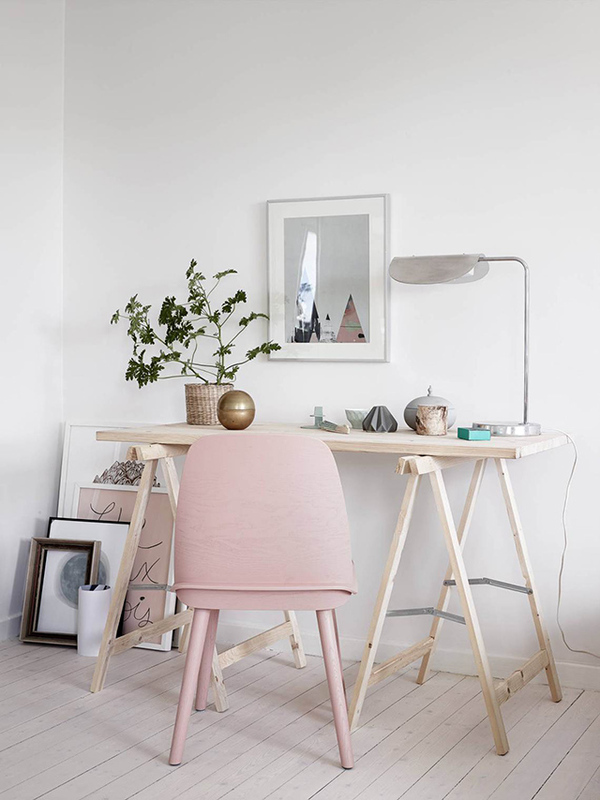 I love the pink details in this beautifully styled home, especially the Muuto Nerd Chair in the workspace. After our fabulous new sofa arrived, we shifted the old three seater downstairs and have stored the two seater in the garage. I'm thinking about getting rid of both and going for a new look downstairs all together. 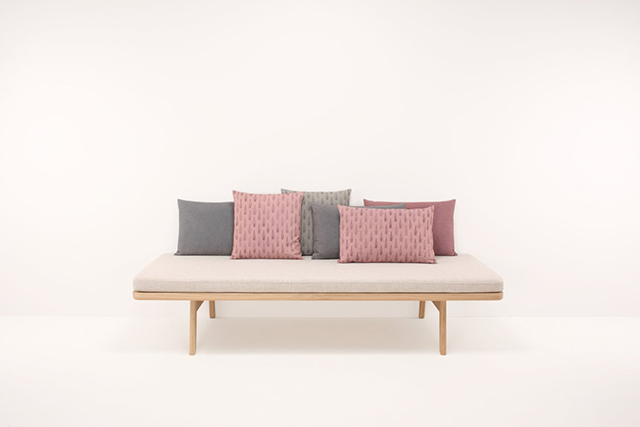 A beautiful daybed is high on the wishlist, with a couple of firm favourites like the popular Safari Daybed which I love, and the Menu Daybed which is AMAZING in every way. 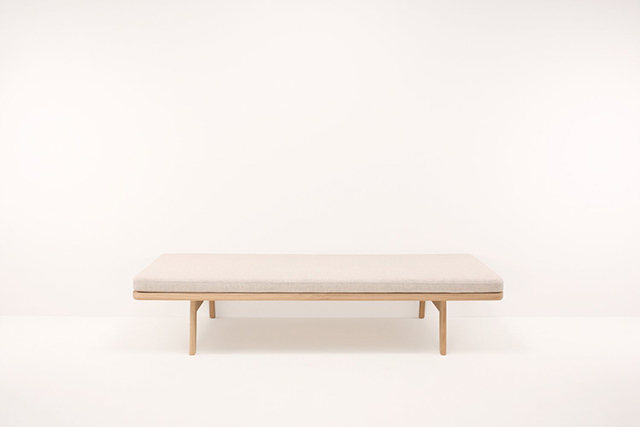 The Beck Daybed (below) is another Danish beauty. 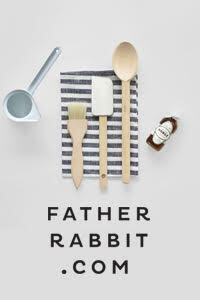 Designed by Anders Folke Anderson for Foxy Potato, I adore the neutral colours and simplicity. At first I thought this living room was a hallway, probably due to the little bench. Either way it works, especially with that incredible picture wall. 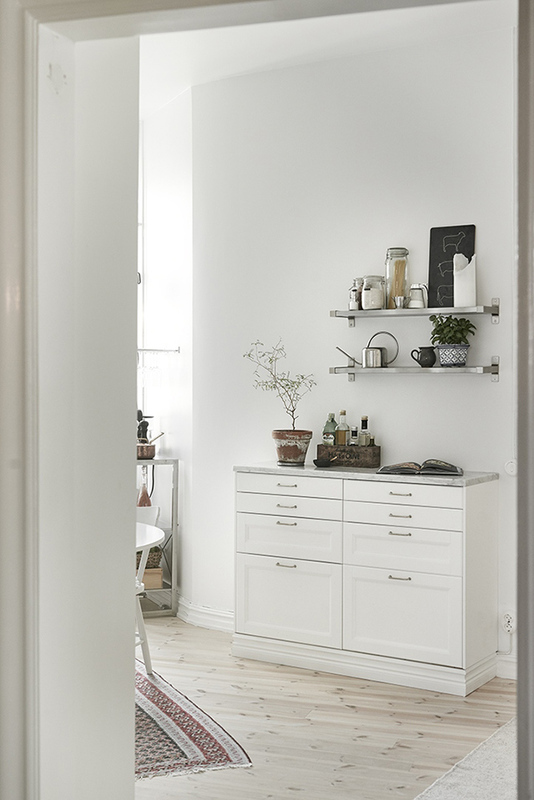 The kitchen details are also lovely, as is the kidsroom which you can see along with the entire house tour here. 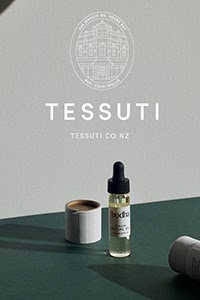 Have a lovely weekend and don't forget there's free shipping at AURA until the end of today! To enter their exciting Giveaway pop over here. I find your article simply great! Thanks for sharing! I like a lot the matt lamps, they offer elegance and give a nice touch of modernism to the room. What would you say if they were to be combined with a nice rug? Would it offer a more intimate feel?